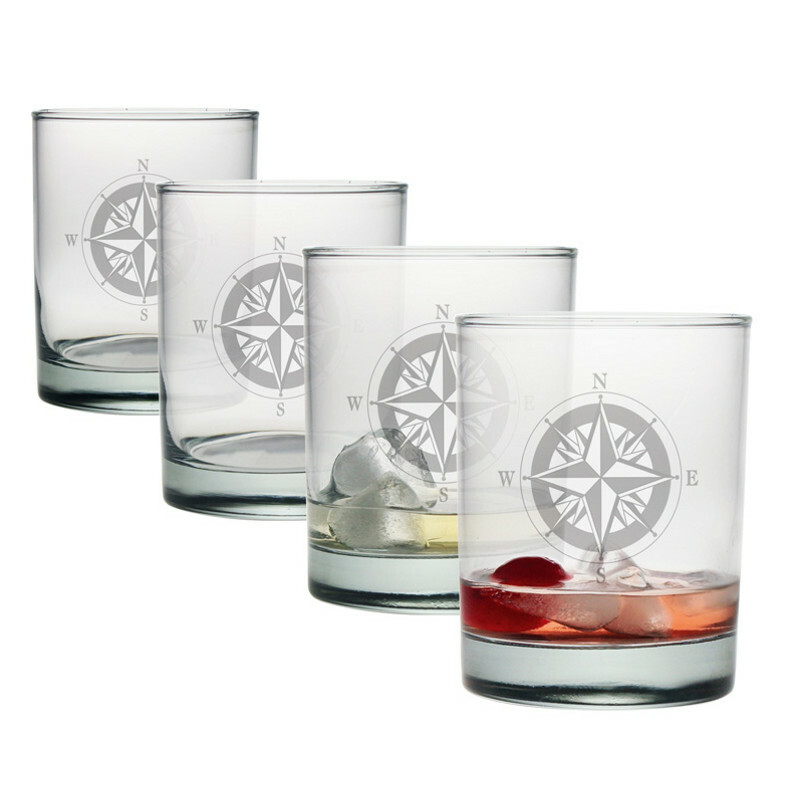 Compass Etched DOR Glass Set is perfect for any beverage when entertaining at your coastal home. The 4 main points (cardinal directions) of the compass were derived from the wind rose North, East, South and West. Like the wind rose, the compass rose was coincidentally designed in a fashion that resembles the rose flower. The compass rose helped to orient a map in the proper reading direction and gave the relative directions for certain points on a chart. "On the Rocks" is a term used for adding ice cubes to your alcoholic drink and our "DOR"(drink on the rock ) glass is the vessel of choice.